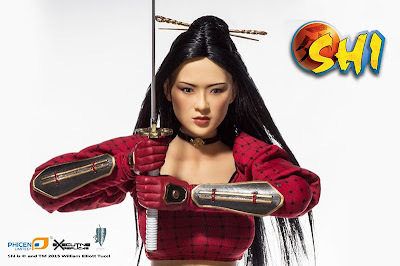 I can see many people buying this figure based on its sheer awesomeness alone, but for those not familiar with Shi, she is an independent comic book character created by writer/artist Billy Tucci. The character-- for an independent comic--became very popular right from her inception in 1993 and has had several action figures released over the years, but none of them have been like this. Phicen is the leading 1/6 scale female action figure company thanks mostly to their high-quality "seamless" figure bodies, meaning that the fugues have no visible joints. This allows the creation of female figures produced with the most realistic look possible. As you can see, Shi, while not necessarily "scantily clad", does show areas of the figure where joints would normally be visible. 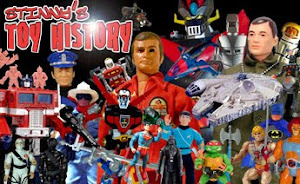 Phicen's figures allow for this kind of costuming without all those normally ugly joints showing.